The police department is looking for one of its own tonight. The officer was recently suspended and now there is mounting evidence against him for an alleged theft. He is identified as Gaspar Sanchez. According to our records up to November of 2009, he was the Head of the Scenes of Crime Unit. Reports are that Sanchez allegedly took an Acer brand computer and a digital camera that belonged to the Police Department and pawned them out for cash. It is believed that another electronic device may have been found during a search of his apartment in Belize City. The police department is looking for the officer to question him more about the incidences of missing department equipment. John Public has always been saying its the people from inside who U cannot trust….does this now prove our point?? what we need now are lawyers with “balls” who will refuse to represent these dirty rotten scoundrels. Gasper please donate the camera to THE PANDY SHOW in Cayo!! Lol…Gasper has probably sold or smoked out all the weed and thing back deh to huh! Ohh lawd sah! How is it that little criminals can be cought when they break the law in belize,but when those BIG criminals called MINISTERS(or lawyers as ministers)commit crimes,such as millions of loans for belize,millions of dollars that no one knows where they end,they get away,could it be that because they are lawyers,they know what they are doing?the leave no trails,no evidence.few weeks ago a loan was given to belize government(mafia)13 million,to pave 13 miles,do u see the picture?the result?farms roads that are a hazard to belizeans,shae on those crooks in power,pup or udp. Why am I not surprised? I hope the big ones get caught too. I wonder if cahnnel 5 or Jules from Chanel 7 can do an article on all the Belizean onschlarship at present and their relation to government officials. There are many more studies that would be interesting. Declaration of assets before and after positions would be so interesting. I understand the frustration of the Belizean public with what is going on in the streets, with government and the like! But to blame Barrow and government for this individuals actions is nothing short of lunatic! Let us be a tad more sensible “rod”! You are showing yourself as a anti-UDP fanatic and is throwing out these nonsensical ad nauseum! Let us point finger where it is deserving! This individual is a crook and should be prosecuted and so should all other crooks as long as they are given due process! Including the ones in the prosecutors office who are often dropping the ball! ! I think Doug Singh has to be replaced. There has been no improvement in the police since he was appointed, only more criminality and embarrassment. 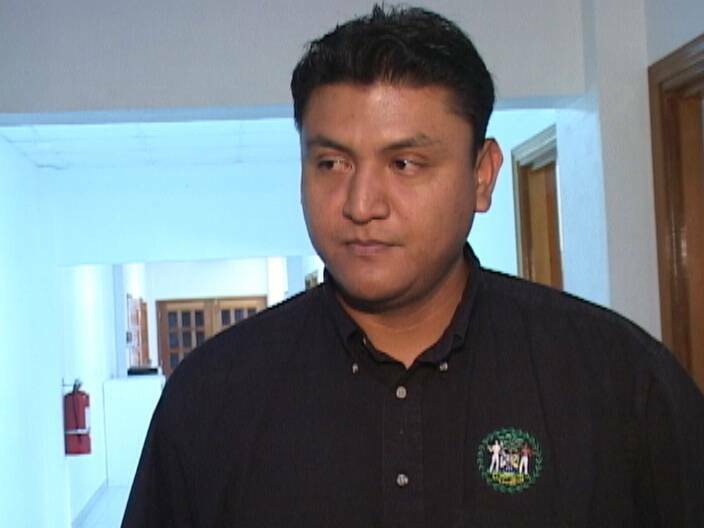 CAN’T WE FIND JUST ONE HONEST MAN IN BELIZE TO RUN THE POLICE DEPARTMENT? Scenes of Crime technicians are civilian staff and not police officers! We need to stop the discrimination against work titles, Organizations and Departments. The problem is greed, dishonesty, lust, hatred, jealousy and other evil qualities that our human race is becoming infected with. We need to help our people change in their ways, we need to encourage love for our neighbor and most of all we need to encourage Christianity in our families. Our young children are growing up seeing hate and discrimination by their own family members, this is not the right message to send out. Instead we as a people need to use these cases as examples to teach our young children to be better role models in society. The owner of the Pawned shop should be charged.People are all about money these days what a shame.No wonder the Police Department can’t keep track of their case files. now we see why crack cocaine turn to flour in the police station, and guns disappear and monies confiscated evaporate. if di one weh fu ketch di tief dah tief dawg eet wi suppa!!!! Yup this is what belizeans are all about!! !